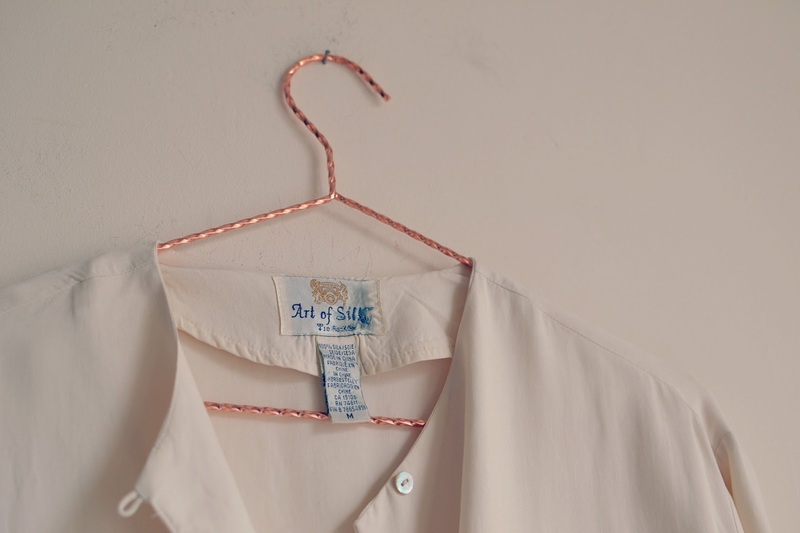 What with trying to steer clear from shopping with the capsule wardrobe project, there's not been a 'charity shop find' post since September, which is a little bit sad as I really like writing them. I'm always interested to see what other people find in the chazzers, and when shopping for stock for the Etsy shop I've always got half an eye on things I might like for myself, too! That said, I used to buy new (old) things all the time and I have tried to exercise a bit of discernment. I re-donated so much to the charity shop that I'd bought but never worn, and taking part in this capsule wardrobe challenge has definitely made me more aware of buying for the sake of it vs. buying things I actually need. 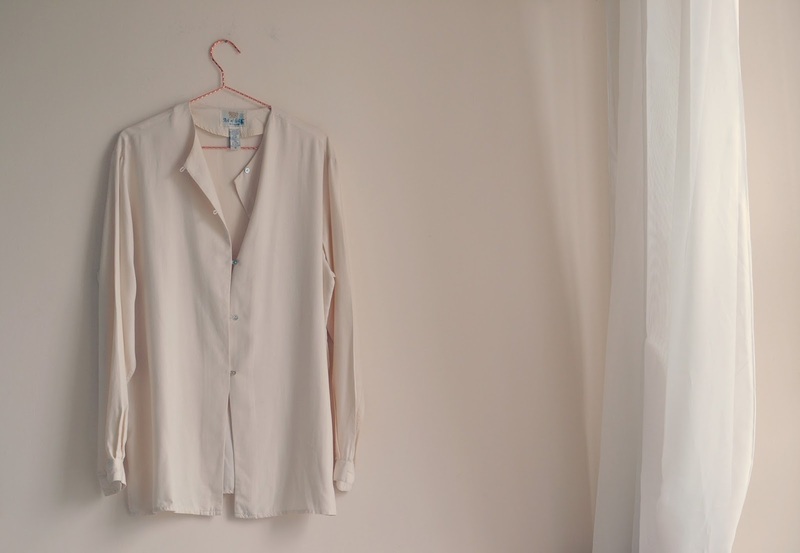 One of the items I wanted to buy for spring was a white blouse and I have also really been thinking about making sure that I buy more second hand and thrifted garments over new. Not only to save money, but also to help the environment and cut down on my fashion turnover, at least. 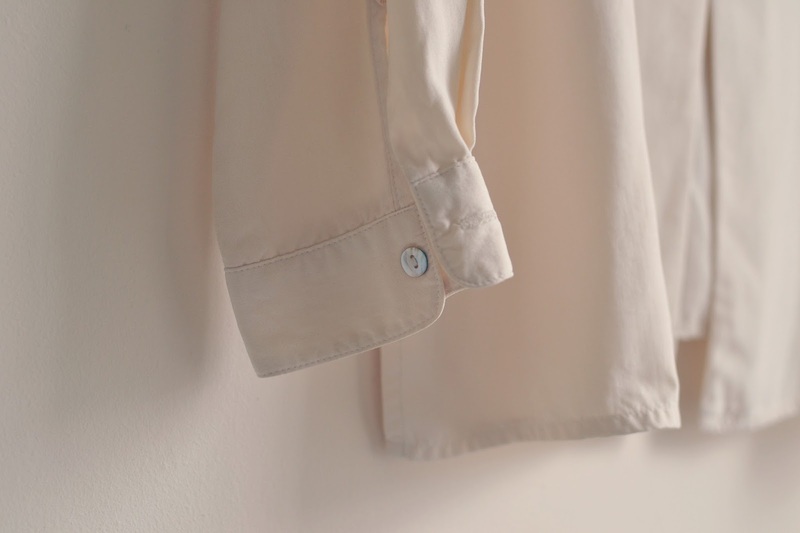 When I saw this silk blouse by Tie Rack in my local Mind shop, it fitted the bill perfectly so I picked it up to include in the spring capsule, which will start to switch in mid way through March. I wrote a lengthy post about another silk find from Tie Rack here, and this piece is currently also stored away to be worn again in spring. I love the cut of this blouse, which is really very contemporary and SS16 with its tunic styling. Vogue would tell me to wear it with loose, wide legged trousers but my short stature won't allow that, although I might try it with some cropped ones, or my favourite jeans. A quick google of 'Tie Rack' re-establishes what I mentioned in the last post I wrote featuring them; they were shouting that they were 'going underground' back in 2014 'see you in 2015' but unfortunately I think we've seen the last of this once flourishing retailer. Have you found anything lovely in the chazza recently?